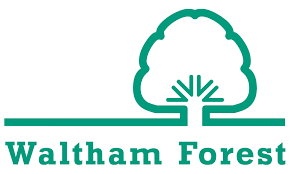 Waltham Forest is going through a ‘once in a lifetime’ period of change. Their Town Hall Campus programme aims to change the face and workings of the council like never before, making them fit for the next 100 years and beyond. This work touches every part of the council and the services it delivers. From reimagining the function of assets through to reshaping how they deliver customer-facing work. One other focus is on how to be an environmentally sustainable council. The complex nature of an inner London authority means that becoming environmentally sustainable is no small feat. However, it is a challenge that needs to be taken on. But where do you start? With the Town Hall campus programme in mind, one starting point was obvious. The council has plans to demolish a number of buildings to repurpose land for better community and business use. This meant that in the medium to long-term, car parking spaces are going to be reduced by over 400 on one site alone. The impact on reduced parking is more complex than most realise. Being in London, lots of staff commute. Additionally, many services require transport to engage with the community including the Social Care, Planning and Neighbourhoods teams who frequently travel to residents’ properties. The question was 'how can we reduce parking without having a negative impact on staff and services whilst benefiting the environment. The authority commissioned an internal project manager to tackle this question. The agreed proposal was to implement a 'carpooling' system onsite where staff could book and drive to and from work-related visits. Clearly, our dependency on transport and preference for our own cars meant that Victor (the project manager) couldn't simply 'roll out and execute a plan'. It was clear that culture mixed with procurement complexity and HR requirements meant that a waterfall 'big bang' project would drag out and inevitably fail. Especially when the requirement to 'have something go live' was only 6 weeks away. Waltham Forest knew a prototype would be preferable. We were asked to provide an Agile Coach for this initiative knowing that Victor had yet to deliver a prototype or even a project like this in such a small space of time. Our Coach (Matt) worked alongside Victor to offer insight, guidance and challenge to approach the work differently. Not only that, Matt co-facilitated initial problem solving and planning sessions with stakeholders, even co-parts of the project to ensure it met the tight timescales. Focusing on one service only and working in time-boxed periods of focused work (sprints) Matt coached Victor to deliver full project life cycles of 'plan - do - review' each week. This meant that during the sprint Stakeholders were engaged in the (re)planning of work based on outcomes. Additionally, due to the regularity of the process risks and issues were tabled and dealt with quickly. With only one service involved in the scope, there was deep staff engagement and participation from the very start. An external e-car provider became 'part of the team' through collaborative task tools, like Trello and involvement in key meetings. Following short discovery and engagement of all key players, The E-Carpool Prototype started in week three, with one service and two cars. Small, yes but three weeks in advance of scheduled which enabled learning by doing. Additionally, something tangible made progress visible, and people became interested. Over the course of the engagement, there were snags like double booking, lack of allocated parking and fuel cards but by sticking to the weekly sprint each snag only ever lasted a week at most meaning resolution was never far away. Victor was able to pull in the right people at the right time for the right focus and then release them again. This meant that there was no huge dedicated team, in fact, the team was Victor and 3 others from the scoped service (part-time). At the point in which our involvement ended, hundreds of staff members had signed up to carpool. The scope spread from one service to the whole council and demand meant that more cars were ordered (with allocated parking). This prototype achieved it's ambition, to start to remove the dependency on traditional forms of transport in the form of personal cars. The scheme has been embraced by the council and there is clear plan to reduce the availability of spaces for personal transport over the medium term.